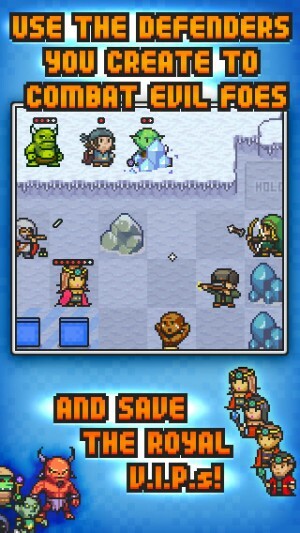 Sometimes it’s easy to forget just how young the App Store is, but then you think back to a game like Pixel Defenders Puzzle ($0.99) that released in 2012, and it feels like a million years ago. 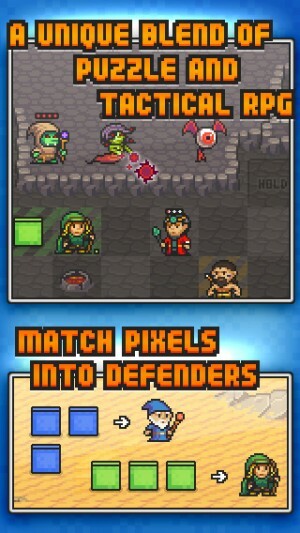 Pixel Defenders Puzzle is a cool game that combines the match-3 and defense genres. We enjoyed it quite a bit in our review, and the members of our TouchArcade forums loved it. The game saw several updates in the intervening years, including one that stripped out all of the IAP in the game, rebalancing it as a fully-premium game. Pixel Defenders Puzzle: The Shadow Prophecy should be rolling out in an update today. For those who don’t have the game, the base game should be getting a price drop to $0.99 to correspond with this update, allowing you to pick up the whole package for just a few dollars. The new content is a lot of fun, and the game itself holds up surprisingly well for its age. If you can tear yourself away from Hero Emblems ($2.99), you might want to revisit the world of Pixel Defenders Puzzle to see what’s new.